THE best of Scotland’s licensed trade took centre stage last week at the 2018 SLTN Awards. More than 20 trophies were handed out at the glittering black-tie event, which took place at the Hilton Glasgow on Thursday, November 1. Comedian Sean Lock was master of ceremonies on the night, announcing the winners in front of an audience of 700. 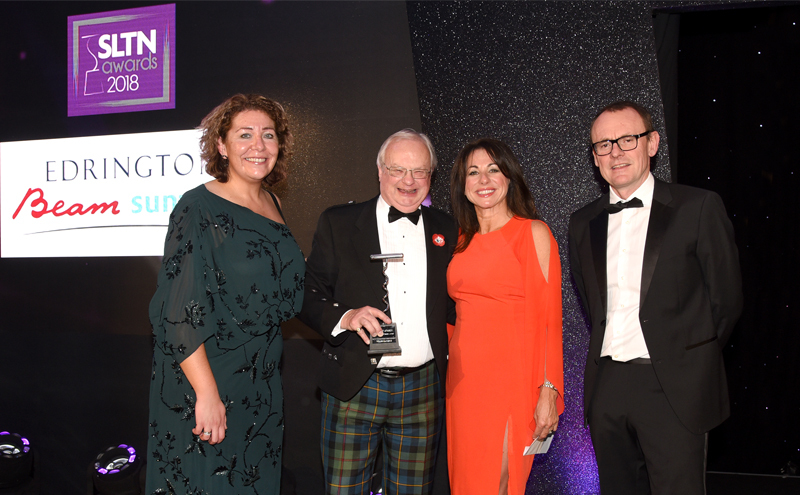 Willie Macleod, executive director for Scotland of trade group UK Hospitality, took the top award of the evening when he was presented with the SLTN Award for Industry Achievement, supported by Edrington-Beam Suntory. Accepting the accolade Macleod said: “I’ve had a fantastic career in this industry. Macleod wasn’t the only individual honoured. Siblings Colin, Alison and Kenny Blair, founders of multiple operator Buzzworks Holdings, were named Entrepreneurs of the Year; Jody Buchan of Edinburgh cocktail bar Kin took the Mixologist of the Year and – jointly with business partner Sam Baxendale – Crafts Spirits Enthusiast awards; Becky Smith of Platform 3 in Linlithgow was named Bartender of the Year (while the pub itself took the title of Independent Pub of the Year); and Margaret Patterson of The Patter Bar in Paisley was presented with the Unsung Hero award. On the venue side, winners included the Ballygrant Inn on Islay, which scooped the Whisky Bar of the Year title; Shilling Brewing Company in Glasgow, which won the Craft Beer Award; and The King of Islington in Dundee, which was named Rum Bar of the Year. Glasgow-based DRG (Di Maggio’s Restaurant Group) was named Independent Multiple Operator of the Year. 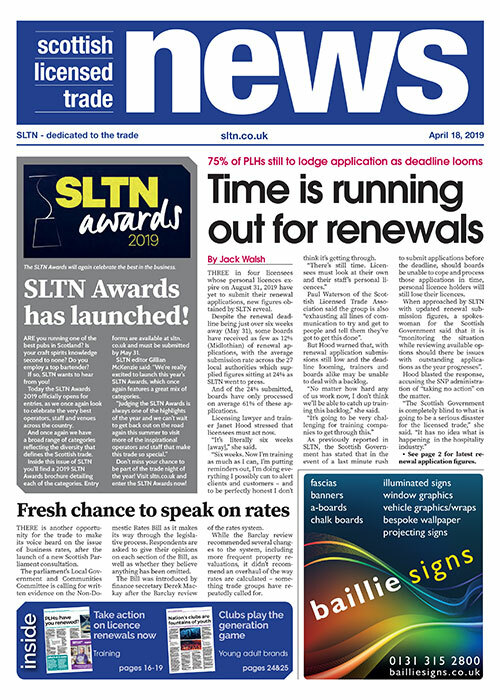 SLTN editor Gillian McKenzie said the SLTN Awards “is about celebrating the very best of Scotland’s trade”. “SLTN has reported on, and for, the Scottish licensed trade for more than 50 years and while trading conditions today might be tougher than they’ve ever been, the standard of premises has never been higher,” she said. “Pubs, bars, restaurants, clubs and hotels play a vital role in Scotland – as the heartbeat of communities, in providing a warm welcome to tourists and as major employers, and their importance must not be overlooked.